What a wonderful, strange, treasure of a book Anne Ursu’s Breadcrumbs is. It’s the first book I finished in 2012, and I think the year is off to a great reading start if this is how it’s going to be. I’m up at 7:45 to watch the ALA Youth Media Awards. This is much earlier than last year! Schneider Awards: Django by Bonnie Christensen (young reader), Anything But Typical by Nora Raleigh Baskin (middle), Marcelo in the Real World by Francisco X. Stork (teen, and been on my To Read list for ages). 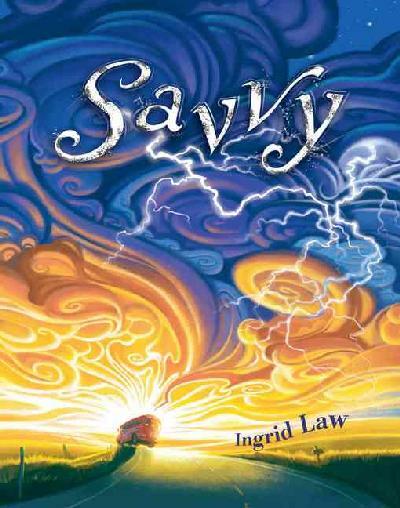 Okay, I know this post is months late (the Newbery winners were announced in January). I have a very good reason for this; it took me this long to get my hands on a copy of The Surrender Tree, the last book left for me to read. 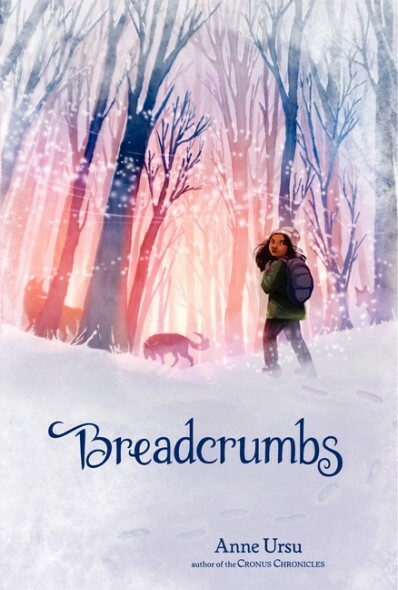 I finally got it from the library this week, so here are my thoughts on each of this year’s Newbery books. 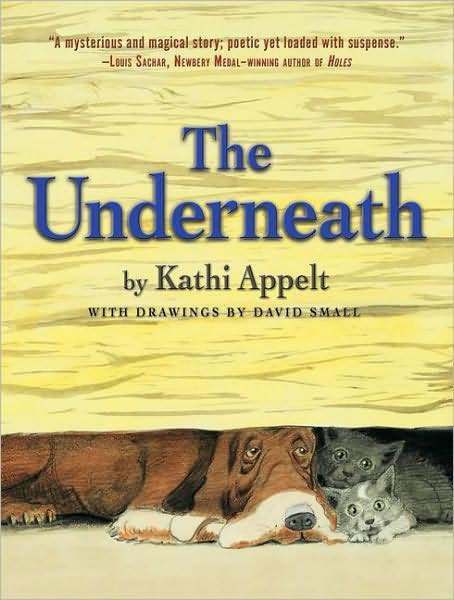 I finally finished the audio book of Kathi Appelt’s critically acclaimed debut novel, The Underneath, and while I thought it was a lyrically told story I just didn’t see the appeal to kids. 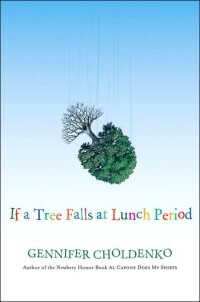 It took me several tries to get through it; I really had trouble getting absorbed in this story. This past week has been a complete and total bust in terms of work and home productivity. Every time I start a new job around a new set of little kids (which seems to have happened much more than I’d like the past couple of years), I get sick like two weeks in. I caught a cold which turned into a make-Jackie-so-dizzy-she-can’t-drive sinus infection and ended up home the entire week on my doctor’s orders. All I can say is, at least this time it’s being fixed before turning into a marathon fight with bronchitis. I’m really over those. I really liked Pictures From Our Vacation. 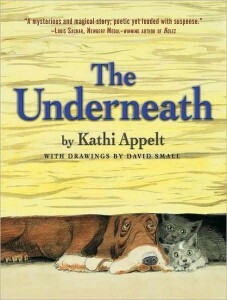 I think Perkins does an excellent job of capturing small details and experiences from kids’ lives. 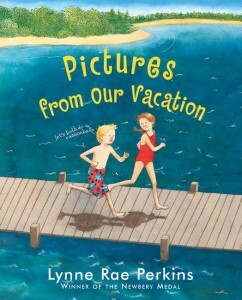 In this story summer vacation doesn’t start out the way the kids hoped, and they wish they’d gone to Disney World instead. But the rainy days, endless car voyages, and lazy times at their grandparents’ farm actually turn into something great. Especially when they meet all their cousins, aunts, and uncles. 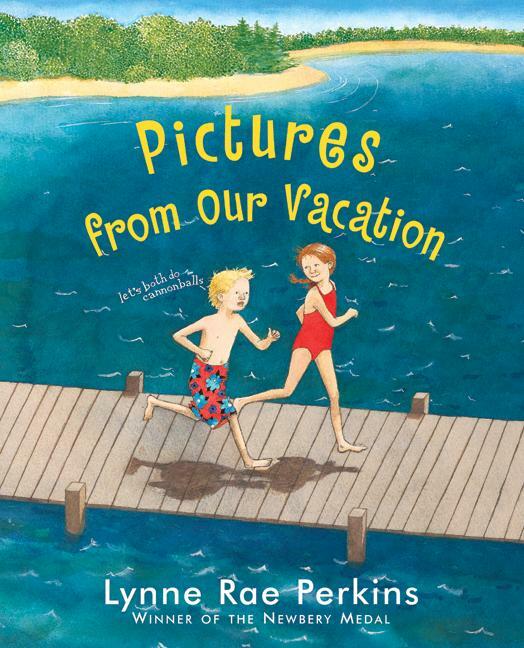 I liked the way this story focused on quiet moments rather than big events, and I really liked the pictures the kids took of their trip.